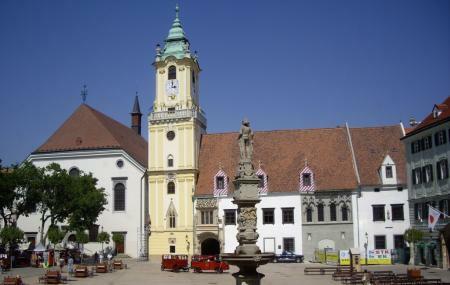 The Old Town Hall of Bratislava consists of the City’s Historic Museum showcasing a number of items including tapestries and intricate mirrors among other royal treasures. The building itself is an exhibit of 15th century architecture and a walk through its strong structure takes you to the tower which opens into a breath-taking panoramic view of Bratislava. When in the city, missing this spot is missing a huge chunk of the experience! You can opt for a combo ticket for Old Town Hall, Apponyi Palace (Museum of Viticulture) and Museum of Historical Interiors. Family ticket: Euros 10, children under 14 years. How popular is Old Town Hall? People normally club together Michael's Gate and Napoleon's Army Soldier Statue while planning their visit to Old Town Hall.